Welcome to our guide to royal themed weddings! With all the buzz around British royalty nuptials in recent years, and Prince Harry and Meghan Markle’s wedding happening in just a few short weeks, you may be wondering how to add a little majesty into your own wedding day. 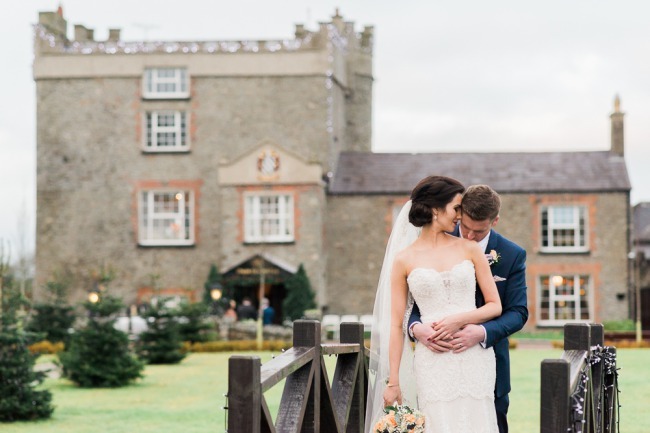 To help make sure your wedding is fit for a king and queen, we’ve rounded up several elegant wedding trends to help you royally impress your guests! What is a Royal Wedding Style? No expense is spared for a royal wedding. Ultra long bridal veil trains the length of an entire cathedral come to mind, as do copious amounts of floral arrangements and pomp and ceremony. 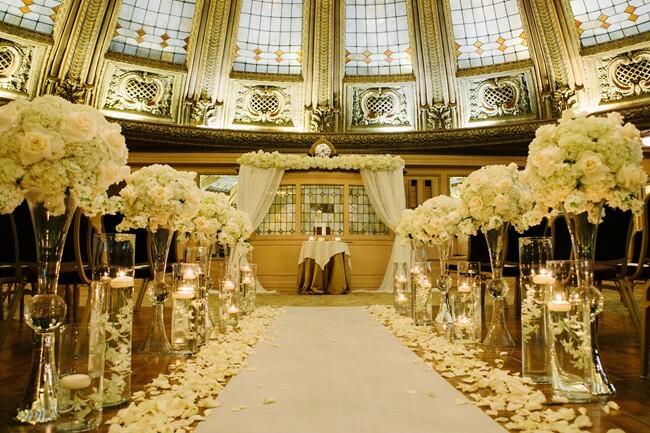 Lavish yet elegant wedding decor is the hallmark of a royal wedding. The theme is best represented by rich gold accents, delicate scrollwork, and dashes of rich shades like royal blue or amethyst. Dripping arrangements of pure white and blush flowers are best off-set by the powerful gold accenture. It’s easy to dip into cliche in the decor with rhinestones, glitter and eye-catching accents, but a good royal theme will be as understated as it is beautiful. 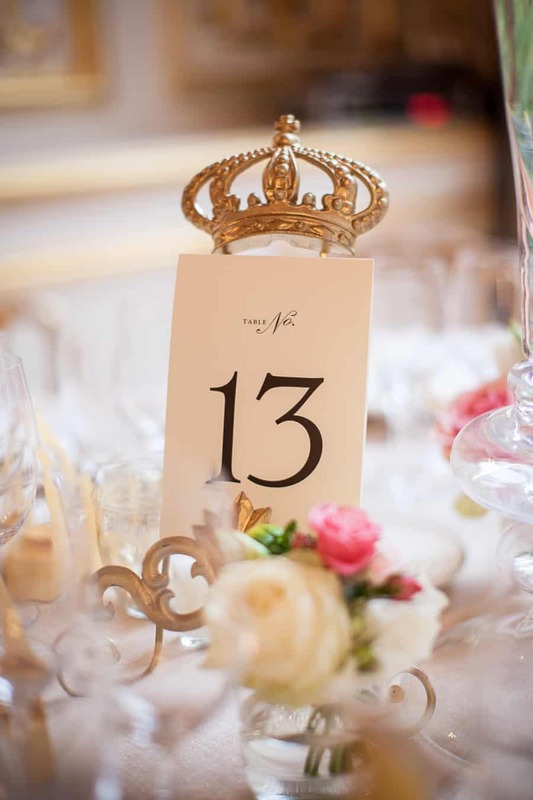 Lavish yet elegant wedding decor is the hallmark of a royal wedding. This theme is best represented by rich gold accents, delicate scrollwork and dashes of rich shades like royal blue or amethyst. Dripping arrangements of pure white and blush flowers are best off-set by the powerful gold accenture. It’s easy to dip into cliche in the decor with rhinestones, glitter and eye-catching accents, but a good royal theme will be as understated as it is beautiful. Choose an appropriate venue and use the setting to your full advantage. Keep in mind, finding a grand staircase is a must! Tasteful and elegant wedding stationery is important to carry your royal theme from the beginning of the day to the end. Don’t be too tempted to include all sorts of fancy embellishments, ribbons, rhinestones and extras on your royal themed wedding invites. Recall the invitations of Prince Harry and Meghan Markle (and those of Prince William and Kate Middleton). Both were tasteful, heavy white linen, that used embossing printing technique with a tasteful crest and simple black typeface. An elegant and chic understated invitation will serve well, with gold detailing and soaring font. Royalty is about classiness after all! 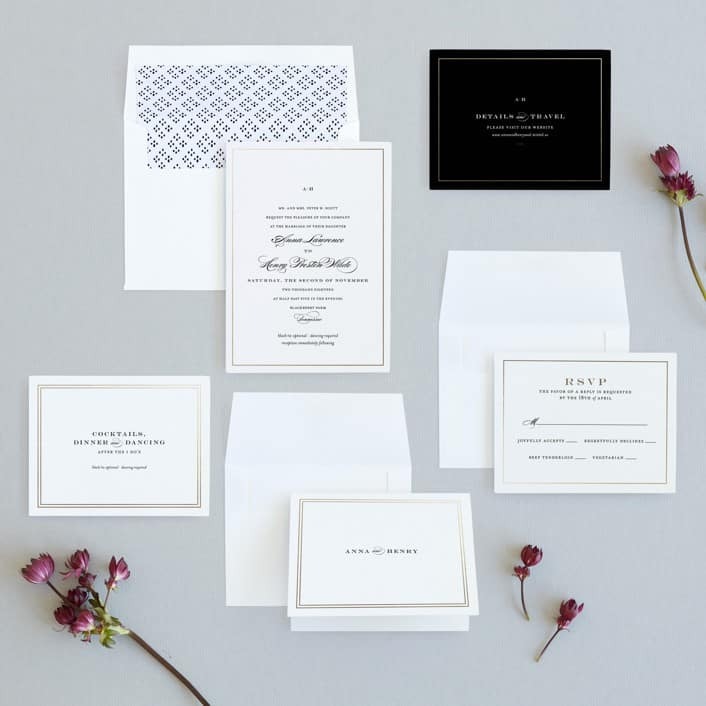 Wedding stationery should follow the same vein as wedding invitations to keep the theme cohesive. If you’ve chosen gold accents, cream linen paper and black script, then make sure that programs, place cards, table cards, and menu cards also follow suit! 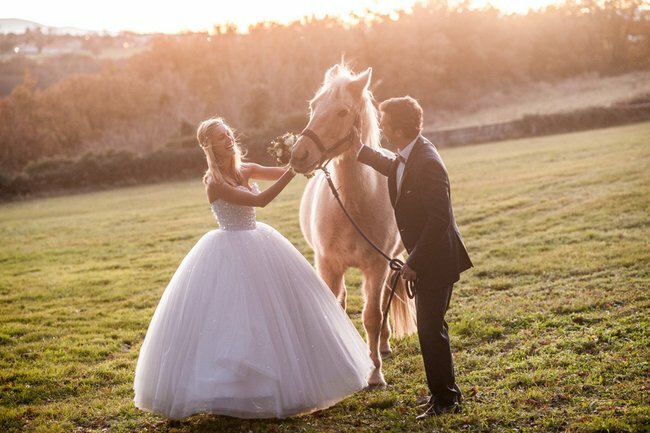 Many brides dream about walking down the aisle in a princess-like gown! 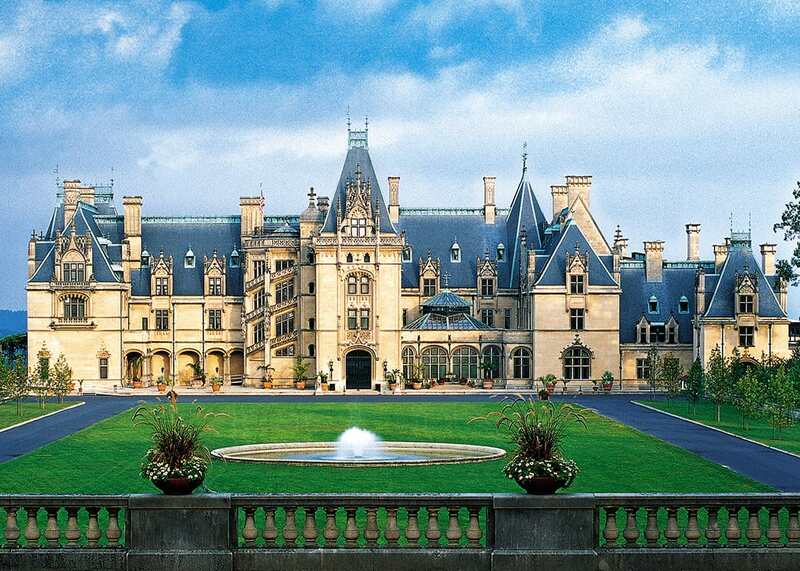 There’s no place more appropriate than a royal-themed wedding. Take a few tips from Kate Middleton, Pippa Middleton, and Meghan Markle when selecting the perfect royal dress. In general, members of the royal family and representatives are held to a pretty high standard on their wedding day. One thing you may notice is that royal brides wear sleeves on their wedding gowns. Kate Middleton had a gorgeous gown with sheer lacy sleeves reaching to her wrists, while her sister Pippa later wore a wedding dress with elegant cap sleeves to cover her shoulders. 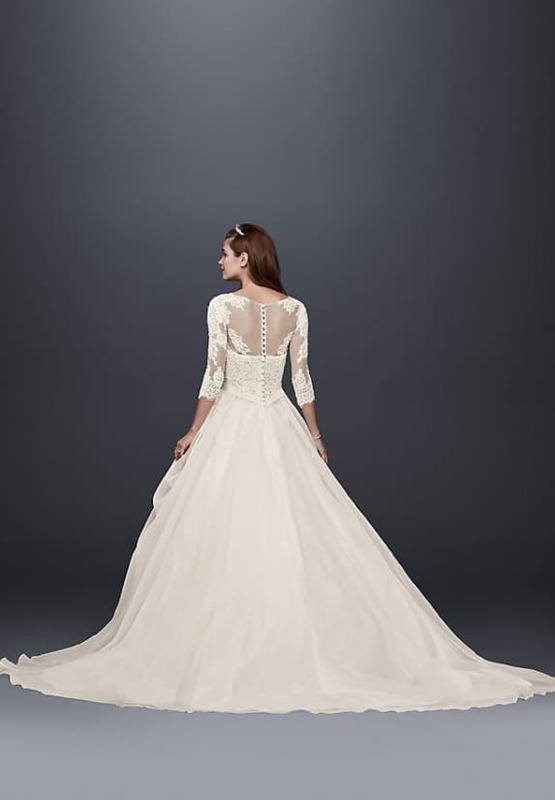 For a truly elegant and royal look, we recommend skipping the strapless ball gowns and finding a sleek wedding gown with sleeves, or an elegant bolero to pair with your dress. 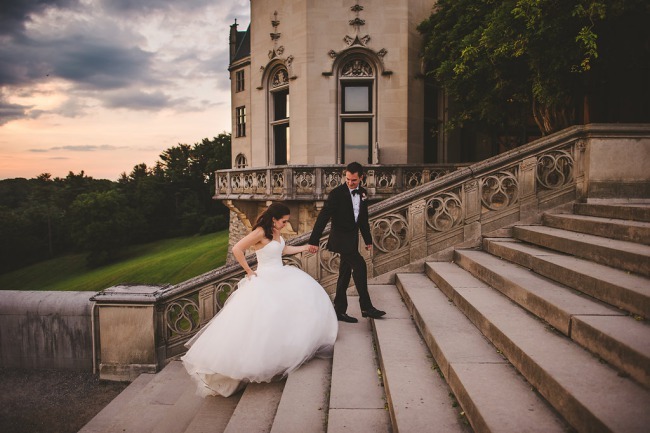 A princess wedding dress is also a wonderful time for a full skirt with a dramatic train. While this type of dress may be a bit much for other simpler weddings, a royal themed wedding is made for bigger and better. You will be a vision moving down the aisle, and later whirling around the dance floor in a cloud of tulle. Brides of royalty nearly always don a diamond encrusted tiara on loan from the crown jewel vault, and accessorise with a dramatic cathedral length veil to complete the look. However, when it comes to us common folk desiring the same look, be careful of normal “tiaras” that can sometimes cheapen the overall look. 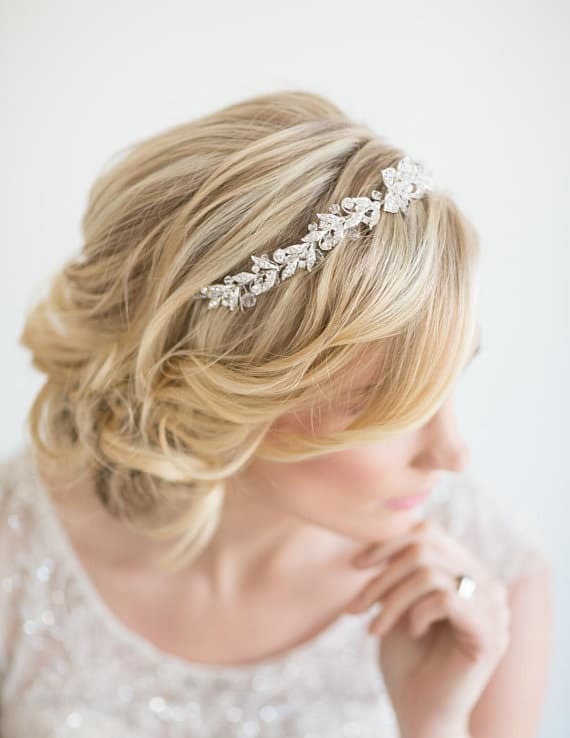 Try to find a tiara that will lay closer to your head and offers a beautiful touch of (Swarovski) crystals. In other words, a tiara that doesn’t completely scream pageant queen. Remember we are trying to achieve classy not trashy. A dramatic long bridal veil plays a big role in royal weddings. Remember Princess Diana’s veil? It was as long as the twenty-five-foot train on her gown. Now that is a lot of tulle! Achieve a similar dramatic look by choosing a chapel or cathedral length veil for yourself. When it comes to Royal wedding dress codes for men, as you will note on the invite it specifies, “Uniform, Morning Coat, or Lounge Suit.” In short, this means if you have an appropriate uniform, wear it. 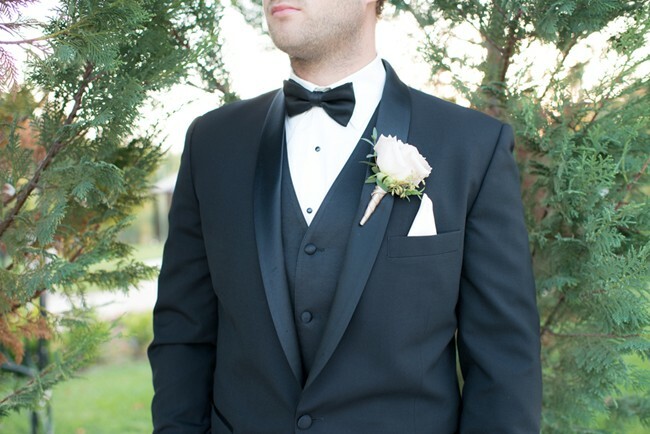 Otherwise the groom and groomsmen should be dressed in full Morning Dress Code, which in North American terms means as formally as possibly, in black tuxes with a contrasting waistcoat if possible. 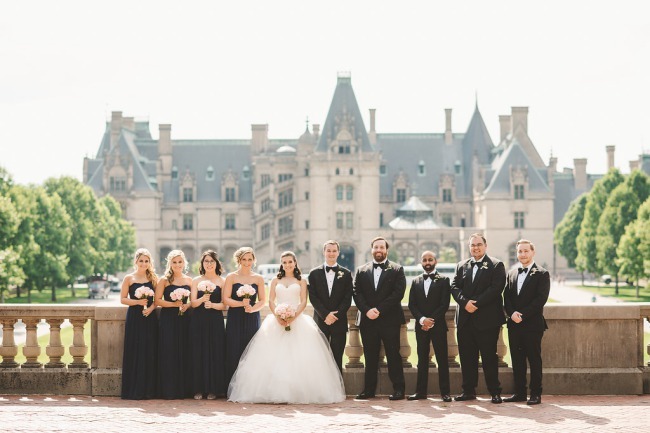 Bridesmaids should match the same formality as the guys. Long formal gowns will do. 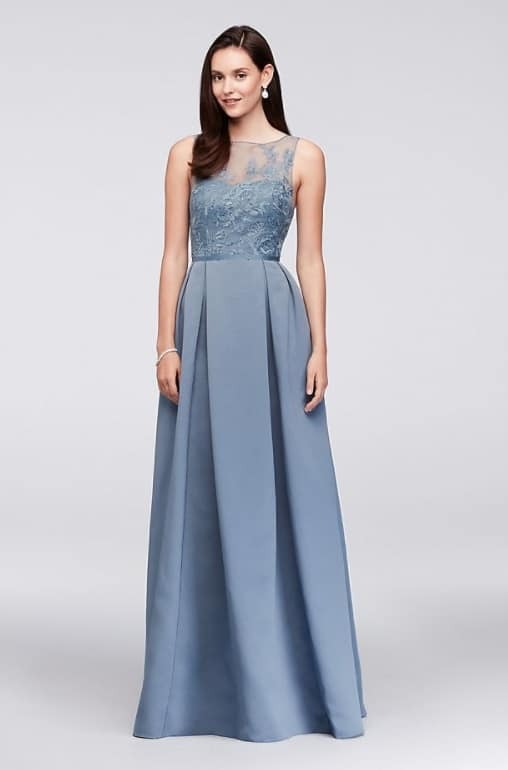 Your bridesmaids’ attire should also match in a complementary color. If you prefer a deep contrast, dress them in amethyst tones or deep royal blue. If you prefer a paler, classy look, consider shades of grey, rose or blush. 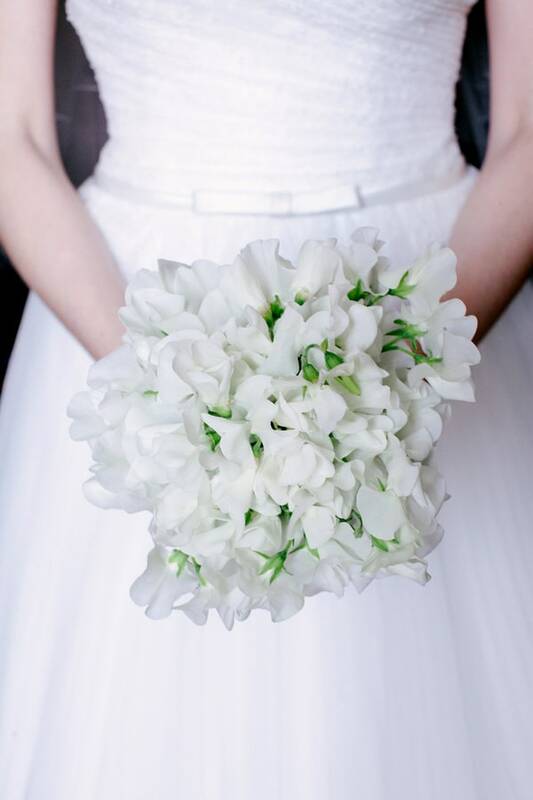 Looking at past Royal wedding bouquet trends throughout Europe, all the royal brides seem to follow the same pattern of carrying a white bouquet down the aisle. Unless you are Princess Sofia of Sweden, who carried a beautiful bouquet of coral and cream garden roses. When selecting centerpieces for your guest tables, we recommend you choose as much height as possible in each centerpiece. Towering glass vases capped with round arrangements and large sprays will give your guests the feel of elegance and grandeur that a royal wedding requires. 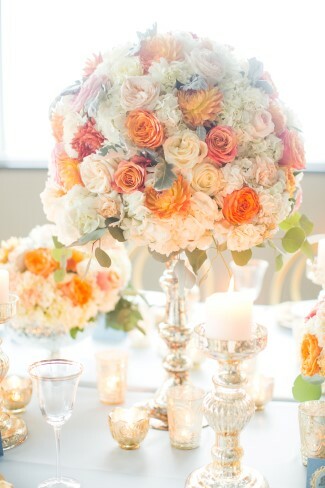 Floral arrangements, accents and bouquets should not have a deconstructed or whimsically put-together look here. 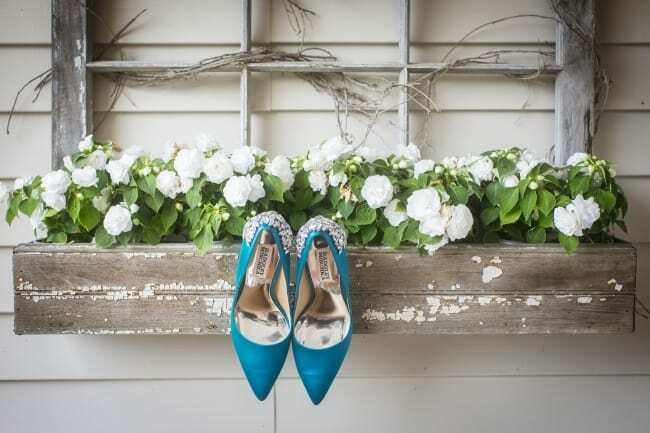 Instead, ask your florist to make sure florals appear tightly assembled and shapely for the most elegant look possible. 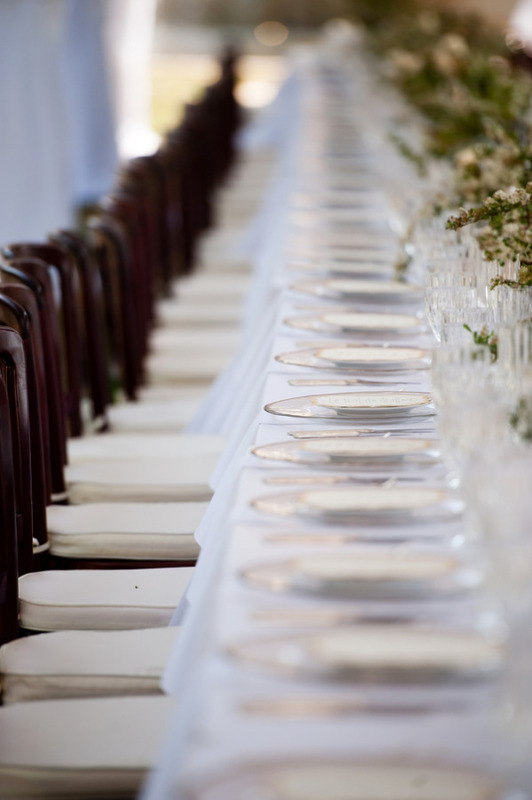 Crisp white or rich royal blue table linens will offset flatware and place settings nicely. When possible, china flatware should be used, showcased on patterned or gold chargers. 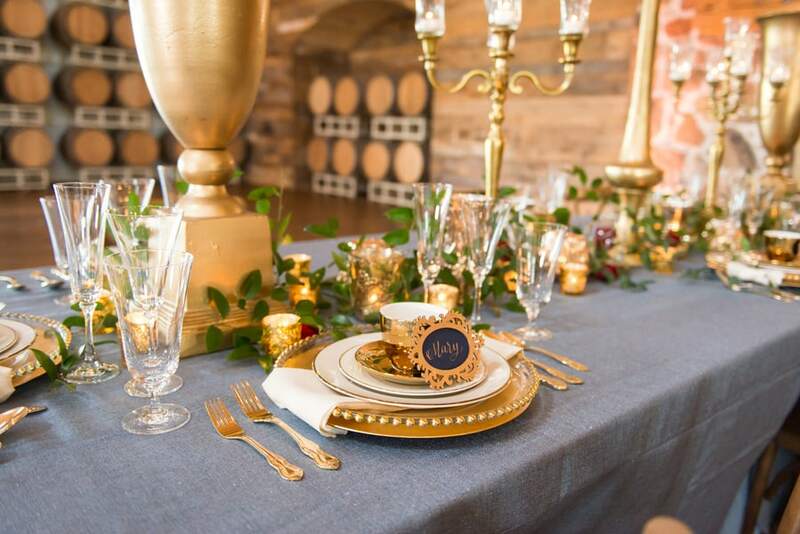 We’re loving the use of mathing gold cutlery sets in a lot of real wedding features! Most wedding supply companies have caught wise to the trend of golden utensils, and renting sets for your big day shouldn’t be too much of a headache. 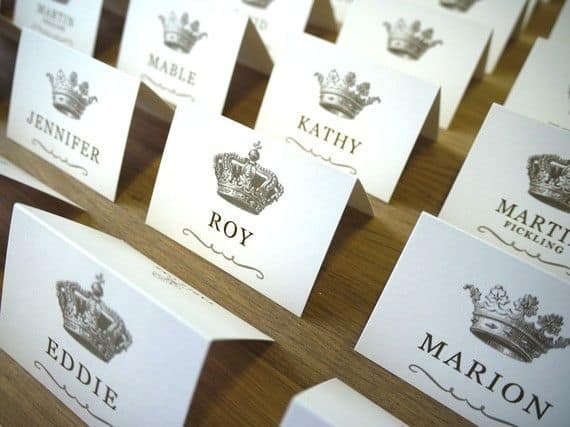 If you’re indulging in a royalty theme for your wedding, make sure your venue or coordinator sets each place setting in the most formal style possible. By that we mean salad fork, dinner fork, soup spoon, and all the other cutlery options to make Ms. Manners proud. To really bring home the majestic feel, offer a plated multi-course meal to your guests and set the tables up like its a state banquet! The head-table is one focal point of the reception that you should absolutely emphasize. 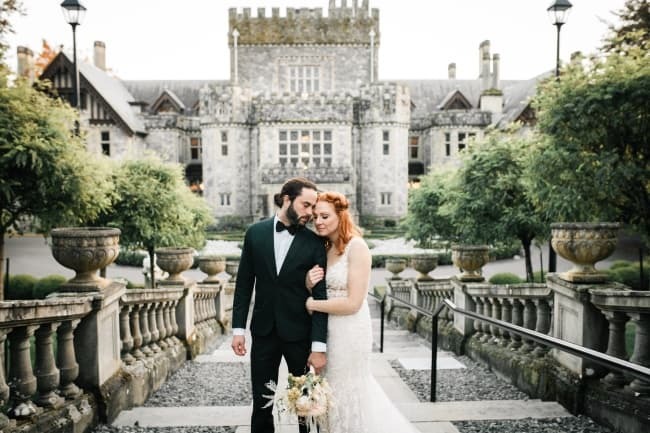 Whether just you and your spouse seated at a sweetheart table, or the entire bridal party seated together, this location should be emphasized with a fair amount of drama. Place the table on a riser for added height, and consider special seating for you two. 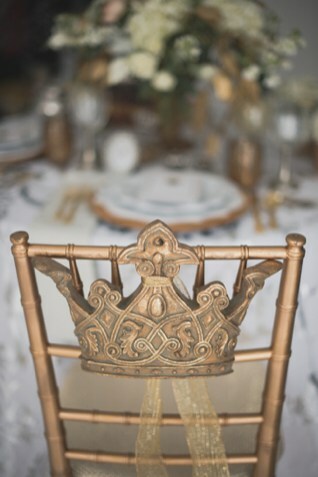 Most rental companies will have or be able to source unique chairs or “thrones” that are different from everyone elses seating. An easy trick? Drape the head table in linens that are textured, spangled or a different color than the other linens in the room. The cake is one of the main centerpieces of the reception, and an excellent way to convey a royal wedding theme and style. Bakeries the world over have recreated the dramatic towers of cake rounds and piping detail of the royal families’ various wedding cakes. Have the cake cased in fondant. 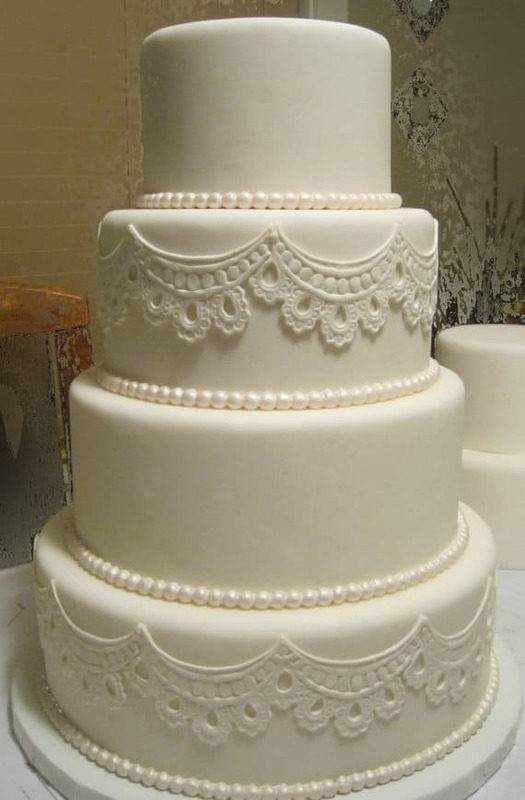 Fondant will create a smooth, elegant surface that is much better to showcase scrollwork, painting, glitter or pearls. A baker can add pearl luster to fondant to give the cake a smooth and elegant sheen. Scrollwork, marbling and sugar flower accents are wonderful additions to a wedding cake to give it a majestic feel and flavor. If you want a grand cake but don’t have the budget for it, look at purchasing a faux wedding cake for the illusion of a grandeur. 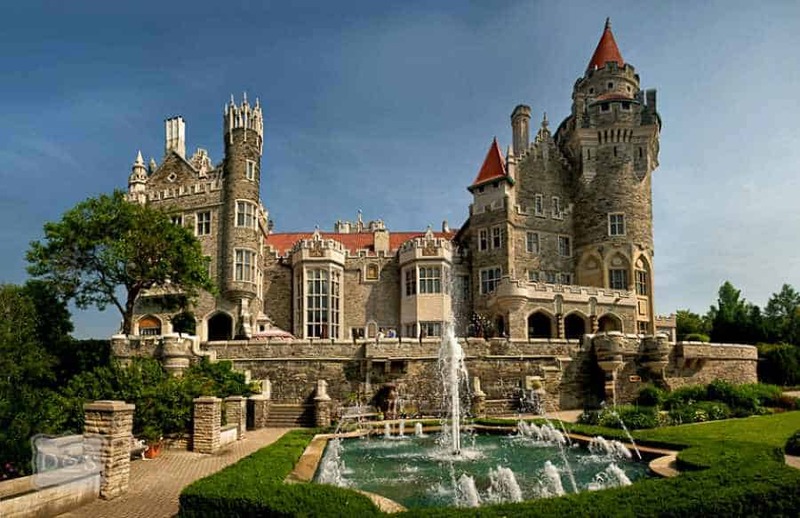 There are several possible venues for a royal wedding theme, and they don’t all have to break the bank. 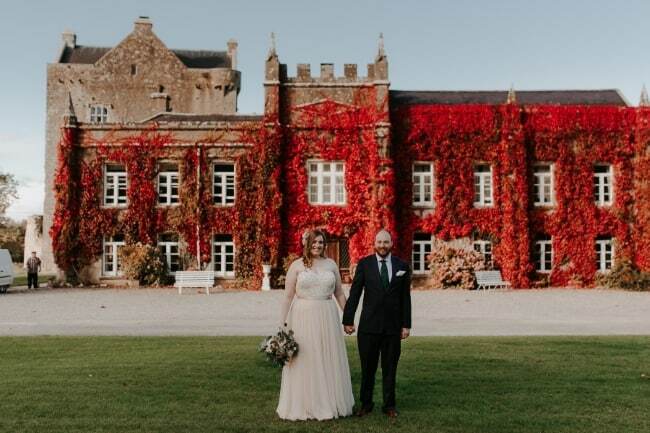 While we wouldn’t recommend trying to stage a royal themed wedding in a barn, there are plenty of hotel and event center ballrooms that will do the trick. Make sure the space has fairly subtle wallpaper and carpeting so as not to clash with your design. The best space for your ceremony and reception will be mostly blank or tastefully furnished with dark wood or gold accents that can easily be included into your palette. High ceilings and chandeliers will showcase your decor beautifully. Romantic, dim lighting as an option is something you should ask about as well! 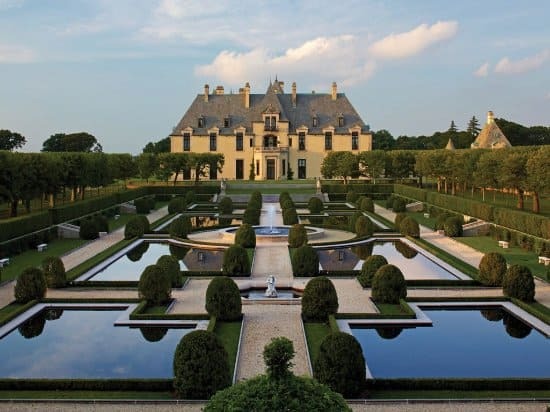 If you really want to wow your guests, look into manor, mansion or castle rentals for your event. This is a growing trend all over the world, and will really deliver the theme you’ve chosen with a fun and immersive experience for your guests! 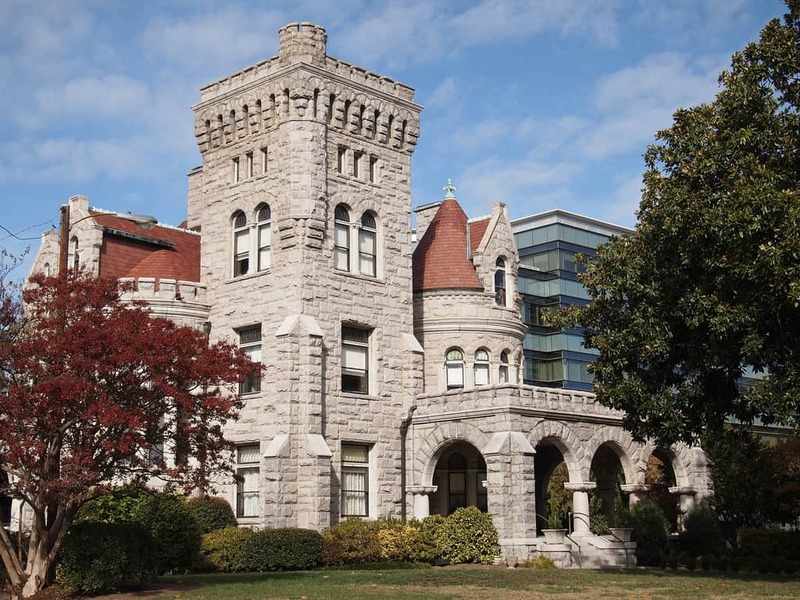 Turns out that you don’t have to travel all the way to Europe to find a castle. Below are a few North American suggestions.